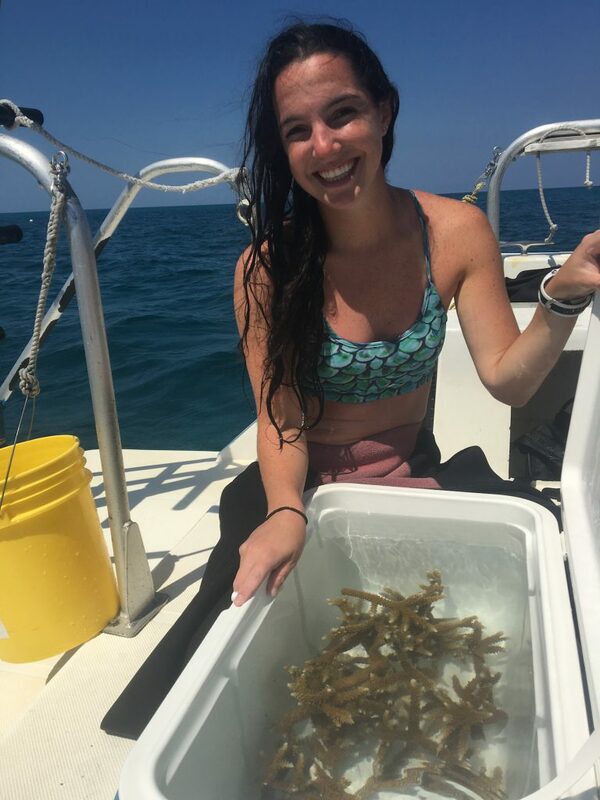 In addition to working on a coral out-planting initiative, Maddie also conducts coral restoration research at the University of Miami. Read on for our interview with Maddie Kaufman and learn more about her diving career and many accomplishments. When did you first realize how (as a diver) you could make the world better? When I first got my open-water diver certification, it was kind of all about me; I wanted to see what was underwater, dive in more locations, and add to the list of marine life I’ve seen underwater. About a year and a half ago, the world lost an amazing soul when my friend Stefano Aime passed away. The ocean was his home. He loved diving, surfing, kiteboarding, etc. and he protected it too – working with organizations like Surfrider. In response to his passing, everyone affected decided to #livelikestefano. A group of my friends got PADI Open Water certified and another group of us got our PADI Advanced Open Water certifications. The silence of diving humbled us all, as we were used to hanging around the bustling city of Miami. After each dive, we surfaced more connected to nature and to each other, and less attached to outside noise. 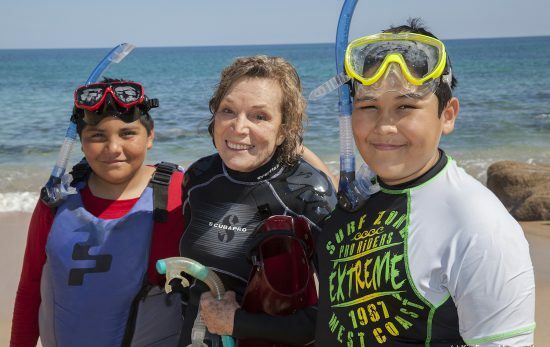 So, before I even started doing reef cleanups and coral planting trips, Stefano showed me how simply sharing SCUBA diving with others can make the world a better place. Katy Roth was my dive buddy on a Day on the Reef dive expedition last summer. 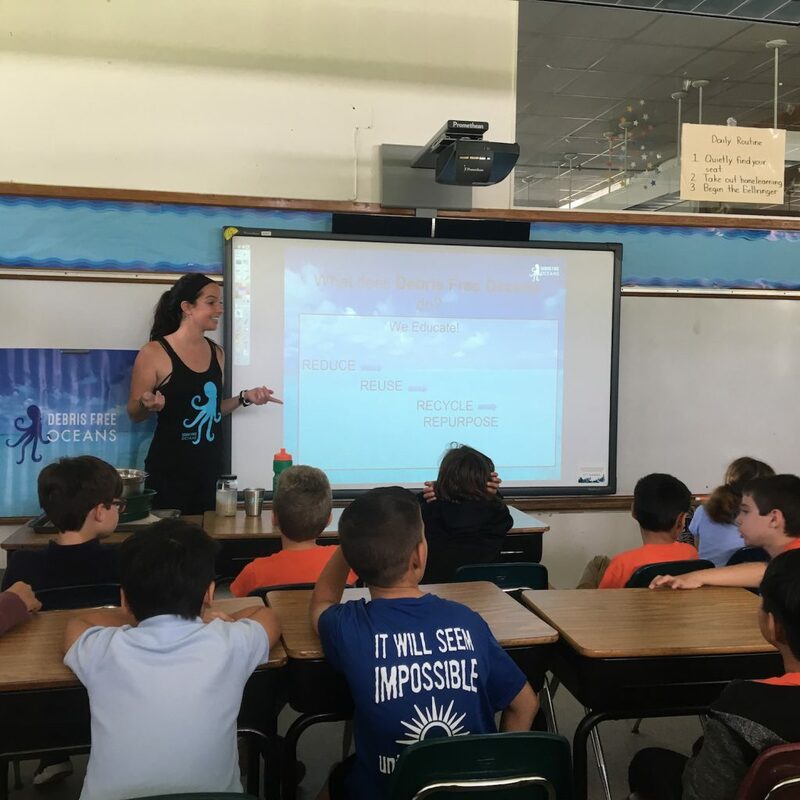 It was a collaborative event between Rescue a Reef (University of Miami’s citizen science coral restoration project) and Debris Free Oceans, a non-profit based out of Miami. Rescue a Reef (RAR) hosted the first dive. 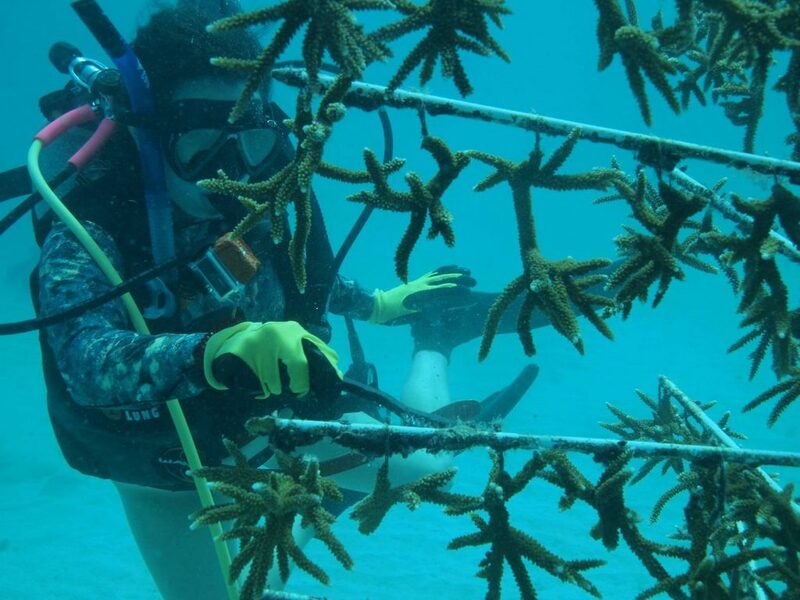 We planted 100+ staghorn corals – a species that has lost up to 95% of its population in some areas of South Florida. 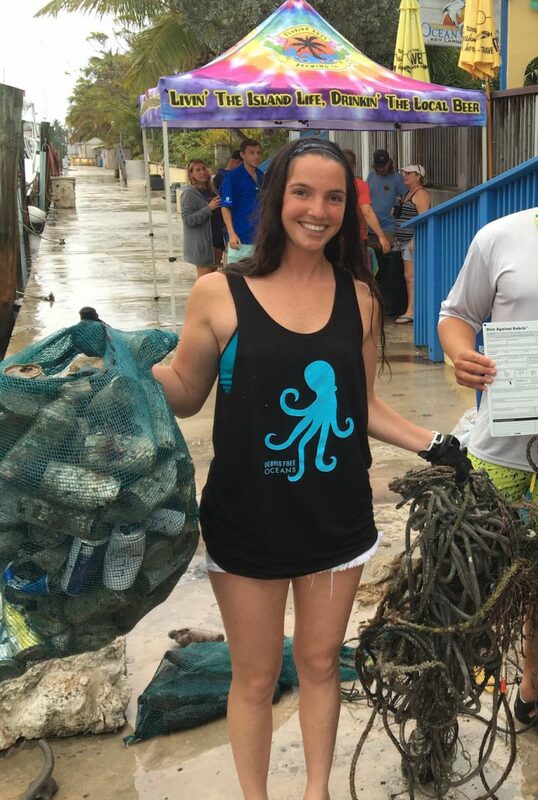 Debris Free Oceans hosted the second dive where we removed more than 200 lbs / 91 kg of trash from an offshore reef. 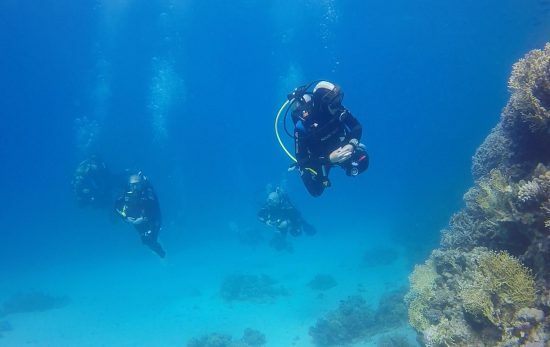 Here we were, a group of ordinary people from a variety of different backgrounds, doing so much good for our planet, on a beautiful day, at one of the top diving destinations in the country- it was a blast. This trip actually changed my life, not to be cliche. I had just graduated college and was lost while applying for jobs during my gap year. I spent my free time attending conservation events and blogging about them, but this trip stuck out to me; it was incredible. Maddie Kaufman and Katy Roth just before a shark dive. How did you end up working in the dive industry? I went on a shark tagging trip with South Beach Dive and Surf. 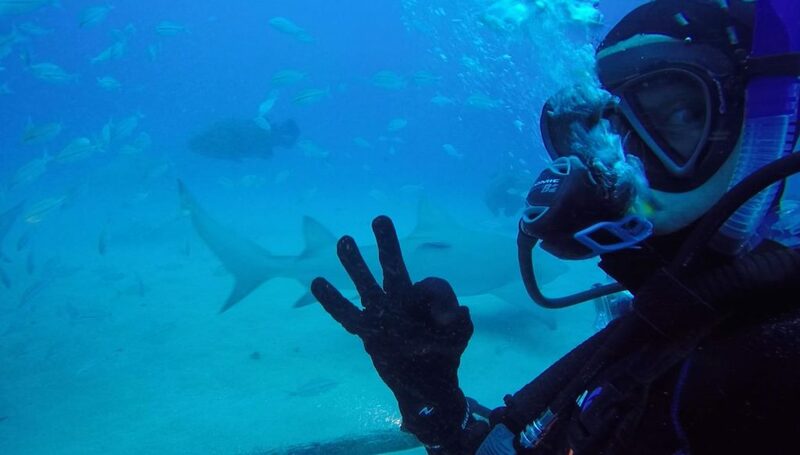 By December, I was working as a sales associate at the shop and scheduling my rescue and divemaster classes. Around that same time, I started volunteering as the outreach coordinator for Debris Free Oceans and working in Andrew Baker’s Coral Reef Futures lab. Everything started falling into place: the lab was a co-recipient of a grant from NOAA for a 2-year project that involves expanding coral gardening into Miami Beach. 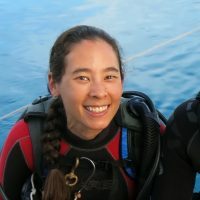 As a divemaster at a Miami Beach dive shop who has been on several Rescue a Reef trips and also works in the lab, RAR asked me to become an ambassador and begin leading coral gardening trips out of Miami Beach! This was basically a dream come true. A year earlier I was a general participant signing up for trips, itching to do more, and now I am preparing to help run them. How has being a diver and a biologist changed the way you see the world? My appreciation for sharks changed significantly. Growing up, I watched Jaws, and my parents warned me of swimming in the ocean after 5 p.m., because that’s when sharks are feeding. During my marine biology coursework at the University of Miami, I learned how rare shark attacks truly are and how essential sharks are to ocean ecosystems. It’s insane that sharks have survived five mass extinction events, have an immune system that inhibits tumor growth in their cartilage, yet we humans manage to kill 100-200 million sharks per year! 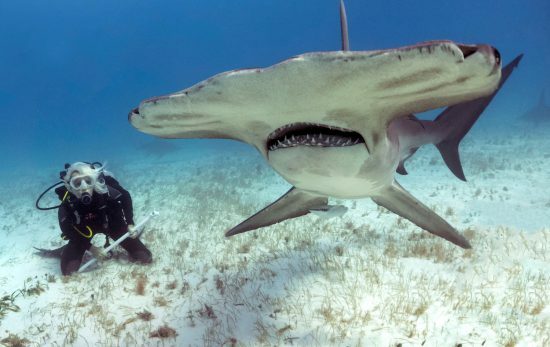 I’ve been diving with countless smart, curious sharks that posed no threat to us – including a 13ft / 4m tiger shark, ten bull sharks, 15 lemon sharks, and a school of hammerheads, to name a few. I hope that through sharing my knowledge of sharks and my footage of diving with dozens of them can induce this perspective change in others too. Something I learned as a diver is the severity of the issue of marine debris/single-use plastics. I was blown away by the amount of trash collected on that first RAR/DFO collaboration dive. There are about 5.25 trillion pieces of plastic in our oceans, and Americans use 500 million straws per day and 100 billion plastic bags each year. Every single piece of plastic ever created is still in existence somewhere on this planet. The movement to avoid single-use plastics needs to be at the forefront of conversation, to mitigate marine debris and greenhouse gas emissions, as the EPA estimates that 5 oz of CO2 are emitted for every ounce of polyethylene produced, one of the most common types of plastic. How can PADI Divers get involved in Coral and/or Shark Conservation near you? We hope to start running Miami Beach Rescue a Reef excursions by the middle of this summer. 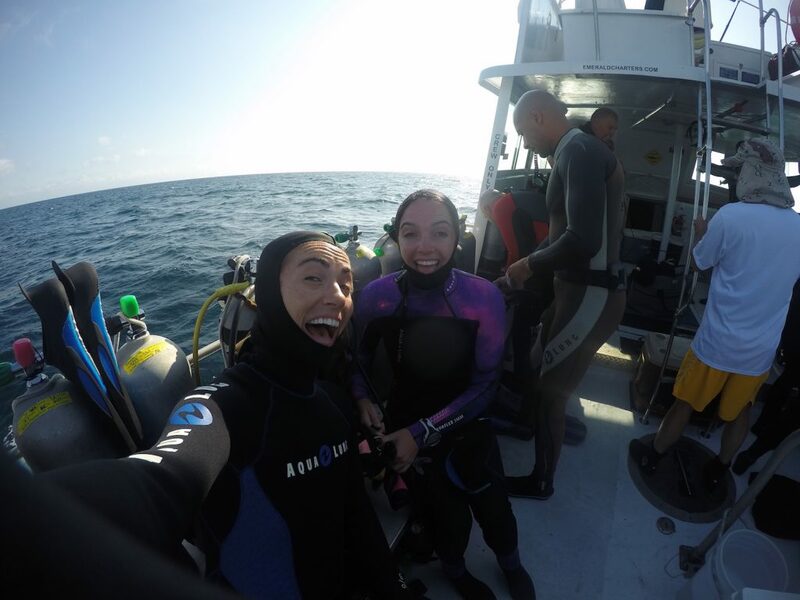 In the meantime, divers can participate in RAR’s regular excursions in Biscayne National Park. Email RescueaReef@gmail.com to join get notified as soon as excursions are scheduled. You can also follow us on Facebook, Twitter and Instagram (@rescueareef). At the Philip and Patricia Frost Museum of Science (which is an incredible museum), visitors can participate in experiments to stress-harden corals. Ultimately, we hope to be planting these stress-hardened, more thermally tolerant corals on future RAR trips. Lastly, South Beach Divers has a really exciting Shark Week coming up! From July 3rd-9th we’ll be hosting several events including a Dive Against Debris in Key Largo, a shark tagging trip with the University of Miami shark research team, a shark diving trip, a shark snorkeling trip, a paddle board demo, and a Keg n’ Klean beach cleanup with Debris Free Oceans! These events will be posted on our social media platforms and the website shortly. What do you hope to accomplish in the next 5-10 years? 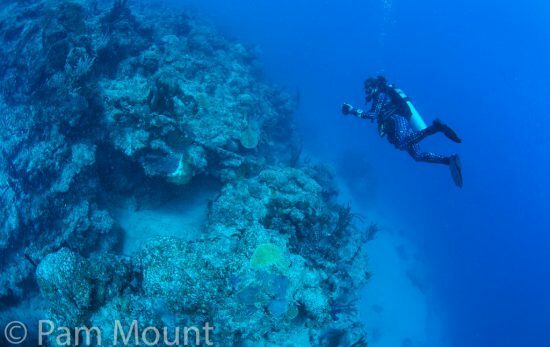 I hope to pursue a Master’s degree related to coral gardening and coral genetics, possibly monitoring outplant gene expression, or outplant connectivity to natural reefs. I am also very interested in coral stress-hardening and want to monitor the success of future stress-hardened out-plants. Eventually, I would also like to pursue a PhD but am not ready to commit to that yet. In between my masters and PhD I would like to take some more time off to travel, work with nonprofits, and explore different conservation programs because, hey- look where it landed me this time! I hope that in ten years I am teaching somewhere, whether simply through outreach events for nonprofits as I am now, or as a professor. Teaching is the most profound way to be the change you want to see in the world (and I would love to be a scuba instructor one day if I can earn enough money for the IDC!). 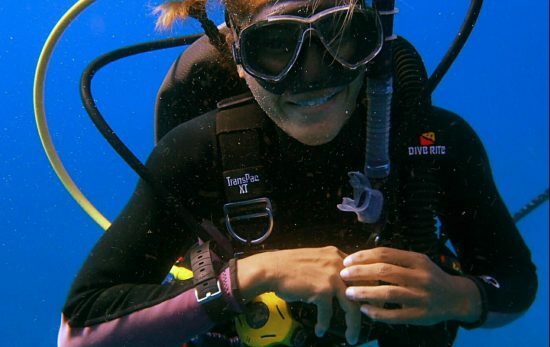 My PADI is… the edge of my comfort zone. When I did my open-water diver course, I was not comfortable. When I did my first deep dive, I was not comfortable. When I did my first night dive, I was not comfortable. But I felt alive, excited and open-minded. I pushed myself and grew as a person while I gained more skills, experience, and responsibility. And I experienced otherworldly encounters. I can definitely attest to the statement that “life begins at the edge of your comfort zone,” because that’s where I was engulfed in sparkling waters by bioluminescent plankton, that’s where a 13ft / 4m tiger shark passed by me just two feet from my face and rolled back her nictitating membrane at me, and that’s where I faced a wall of countless schooling hammerheads cruising by. My Hope is… that the ocean, particularly diving, becomes more accessible to everyone. I would not be where I am today without the support from friends and family (thanks Mom & Dad) that many are not as lucky to have. I want there to exist more affordable programs and opportunities for landlocked individuals to experience and be humbled and enthralled by the marine realm. My Ocean is…. so many things, from my playground to my workspace to my zen space. But most importantly, my ocean is a symbol of unity and connection. All life is dependent on the ocean. All continents are connected by the ocean. We all came from the ocean. 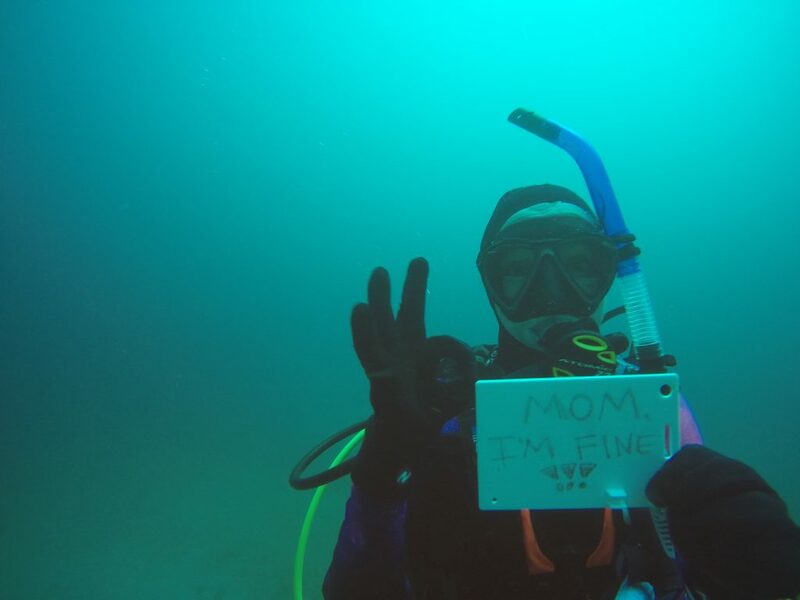 When we are underwater, there are no language barriers. In a world somewhat divided, we have to take a step back and remember how connected we are, and the ocean is a constant reminder of that. We’re not going to resolve any issue divided. By uniting we stand. 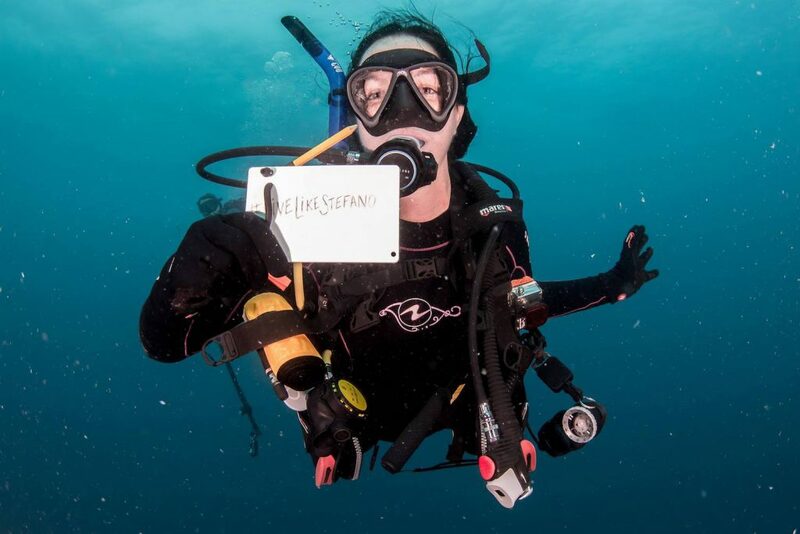 Join us in celebrating inspiring women like Maddie on Women’s Dive Day by taking part in an event, or inviting the special lady in your life to try diving. You can also follow the fun on social media with the hashtag #PADIWOMEN.